You will receive a set of 6 of the foam ball halves which will arrive with instructions and hints and tips too! PLEASE NOTE THAT THE BULK OPTION WILL JUST COME IN A PLAIN BAG WITH NO PRINTED INSTRUCTIONS. Use the 78mm cutter for larger domes and the 68mm cutter for smaller domes. Breathable - allows the sugarpaste to dry both sides. Washable means they are hygienic too! 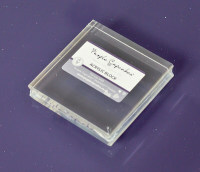 For perfectly even domes every time, roll to 3mm thickness effortlessly with our acrylic spacers. The one and only ORGINAL foam dome for cupcakes. Foam balls for creating the PERFECT domed effect cupcake decoration! Perfectly smooth sugarpaste domes EVERY TIME! Also try with modelling chocolate, marzipan and pastry!